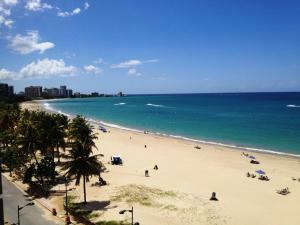 ﻿ Best Price on Vacation Apartments Racquet Club in San Juan + Reviews! 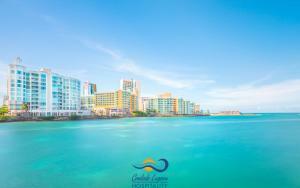 With sea views, Vacation Apartments Racquet Club is located in San Juan and has a restaurant and bar. Complimentary WiFi is featured. All units feature a flat-screen TV, a private bathroom with bath and a fully equipped kitchen with an oven. The apartment has a year-round outdoor pool. Fort San Felipe del Morro is 8 miles from Vacation Apartments Racquet Club. Luis Muñoz Marín International Airport is 2.8 miles from the property. Please note, the property requests a security deposit of $200.00 before or on arrival date. This deposit is fully refundable pending a damage inspection of the unit, 7 days after you check out. Please note that check-in and key collection take place at: 5757 Isla Verde Avenue, Carolina 00979. Please inform Vacation Apartments Racquet Club of your expected arrival time in advance. You can use the Special Requests box when booking, or contact the property directly using the contact details in your confirmation. A damage deposit of USD 200 is required. The host charges this 14 days before arrival. This will be collected by credit card. You should be reimbursed within 14 days of check-out. Your deposit will be refunded in full by credit card, subject to an inspection of the property.